Vehicle/Vendors PDFs is designed to be placed on a a separate page to display Reported Issues for selected Vendors or Vehicles/Aircraft. 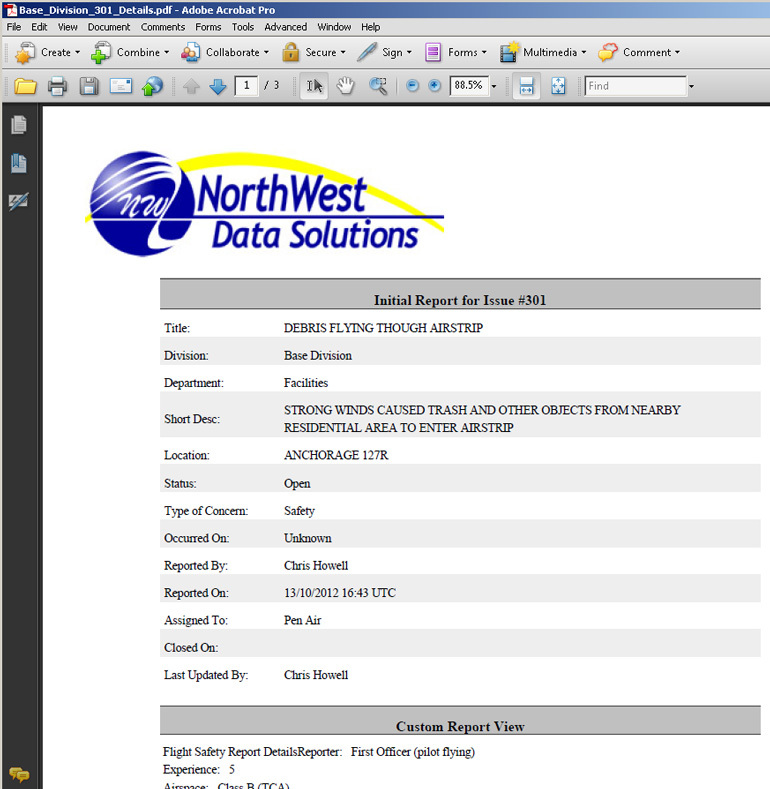 Your portal can have many of these pages, each with a different report to share with your vendors/contractors. You will simply share the URL to the page to the affected party. An Administrator is required to create the specific page, which should not appear in the menu for regular users. The output is a list of Reported Issues with a button in each row to generate a PDF report with all Issue Details. Use this module to provide a vendor or an owner a view of reported issues associated with their company.